Welcome! I'm Asasiya--I am a mother, midwife, and an advocate of conscious birthing. It is an honor to share my services with the community and to assist you on your birthing journey. While many of us understand birth as a physical experience, I also promote the awareness of birth as a spiritual and emotional journey to personal transformation. Each woman has unique needs that require special attention that are not often met in a standard medical model of care. As a midwife, my job is to provide a space for you to deepen your awareness of the birthing process, and offer the information you need to make empowered choices. Each person also has a unique experience that is shaped by their environment and the greater society. Therefore, my approach to midwifery care is guided, not only by my expertise, but also by the values that inform your decision making. I am especially concerned with how social factors shape a person and how to best use my awareness to offer the most appropriate model of care. Inner Circle is proud to be the first and only community-based midwifery practice in Greater Philadelphia to have its own in-house network of trusted doulas! As labor coaches, doulas help to ensure that you have the comfort and support that you need to deal with the intensity of the birthing process. There are many wonderful doulas in our area but we have helped narrow down your options by choosing a few that we find to be among the most qualified. We deeply value the role and skills that doulas bring to the birth team, therefore we have integrated this service into our practice as a measure of quality care and convenience. The People's Midwife Model of Care emerged from a need to have a culturally responsive means to address the maternal infant health crisis in Black America. We hold that the mainstream midwifery models do not adequately address the unique concerns of women of African descent. We honor the history of our own ancestral midwives and in their spirit offer a new paradigm that addresses the contemporary concerns of our families. We value the spiritual, physical, mental, emotional, and economic empowerment of women, recognizing that they are central to her ability to make truly informed choices. We commit ourselves to the social role of midwives as intermediaries between every woman and family’s access to the community resources that are vital to long-term holistic health and wellness. 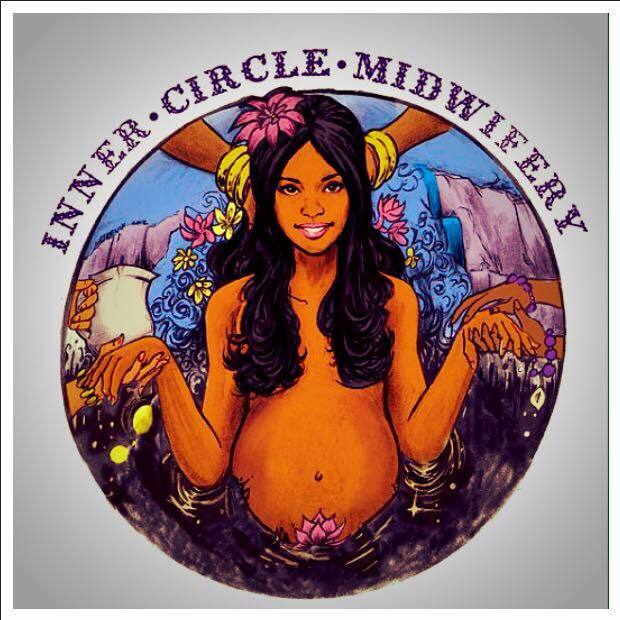 Inner Circle Midwifery is a homebirth midwifery practice serving the women and families of Greater Philadelphia and South Jersey. The Inner Circle team includes myself, our trained assistants and lovely apprentices. Using The People’s Midwives Model of care, we offer comprehensive prenatal care, homebirth/waterbirth, and postpartum care. Much of the work required to birth a healthy baby starts prior to conception. All young women and those of childbearing age need access to resources that will optimize their overall health. We recently partnered with The People's Education Center to provide a space where the community can gain greater access to information and programming that will cater to a lifelong journey of personal empowerment. Media helps us to engage the movement on a different level. Get information, Get connected, Get involved!